Burnley Football Club is one of a number of Premier League clubs said to be failing its disabled supporters. 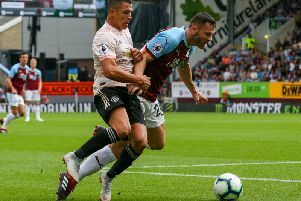 The Turf Moor outfit was highlighted in a report by the Equality and Human Rights Commission for failing to provide for disabled fans in three key areas. Turf Moor does not have the required minimum number of wheelchair spaces, is without larger, fully-equipped toilets, and does not publish access statements to give disabled fans information about their ground. Given the club’s promotion to the Premier League in 2016, Burnley Football Club has until 2018 to implement the requirements. The Burnley Express has been told the club has earmarked a substantial sum of money towards the necessary ground improvements to aid disabled access and is keeping supporters informed of on-going developments. Stadium and operations manager Doug Metcalfe said: “We are aware of the current situation and fully committed to ensuring we meet the legal obligations laid down to us by the appropriate date of August, 2018. In September 2015 Premier League clubs unanimously agreed to improve their disabled access provisions by meeting the Accessible Stadia Guide by August 2017. Equality and Human Rights Commission chairman David Isaac said it would launch an investigation into clubs who had failed to meet the minimum requirements and did not publish a clear action plan or timetable for improvement. Clare Lucas, activism manager for learning disability charity Mencap, said clubs had neglected the needs of disabled fans for too long.